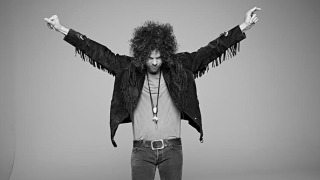 Wolfmother have announced a run of 27 European dates for April and May. The tour includes nine UK shows and a gig in Dublin. They’re in support of the Australian outfit’s fourth album Victorious, released on February 19 via Universal Music. Wolfmother previously made Gypsy Caravan as well as the title track and City Lights available to stream and announced a North American tour. The follow-up to 2009’s Cosmic Egg was recorded at Henson Studios in Los Angeles with double Grammy-winning producer Brendan O’Brien – who has worked with Pearl Jam, AC/DC, Chris Cornell and Bruce Springsteen. Mainman Andrew Stockdale played guitar and bass and brought in former Nine Inch Nails and A Perfect Circle man Josh Freese and REM, Air And Beck Joey Waronker drummer to split drum duties.